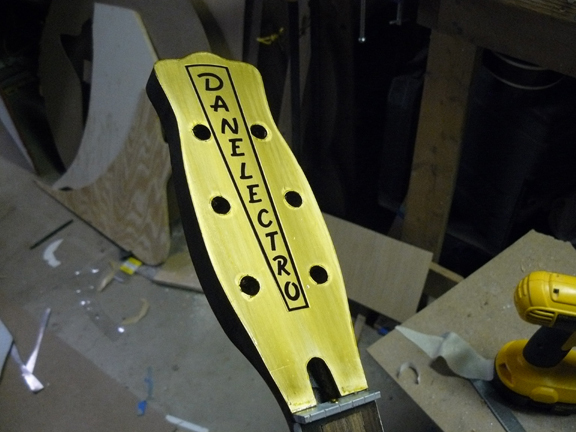 Like the Danelectro U1's construction I tried to stay within the traditions of the construction using plywood and masonite. 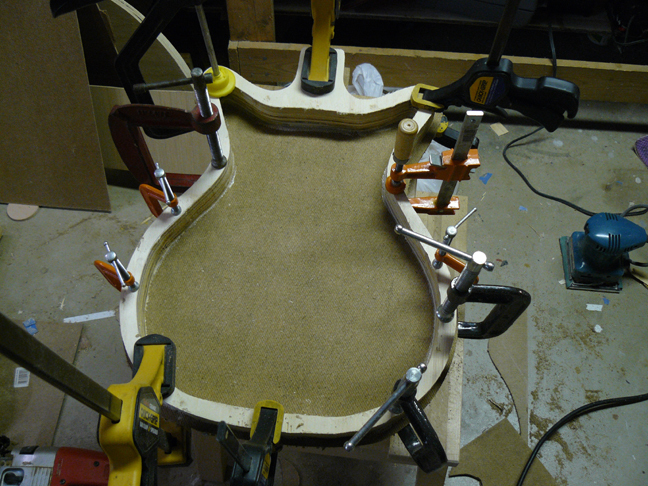 I swayed a bit from the original design by adding a small maple support between the neck pocket and bridge support. 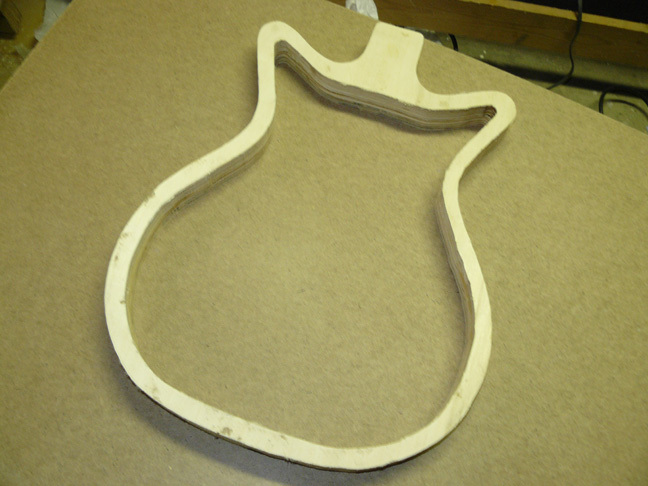 As for the neck design I added a bound Les Paul copy neck and for the finish wrapped it in fabric with an epoxy finish. Unlike the typical 3 way switch this is a 5 way rotary switch for adding in and out of phase pickups. 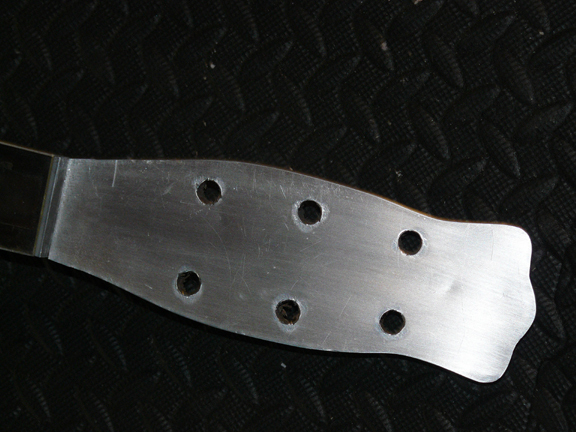 Aluminum face added to the headstock. decal applied and a thin wash of shellac added.